GIFFORD MINT ROOKIE!!! Gifford spent his entire NFL career with the New York Giants, beginning in 1952, playing both offense and defense. He made eight Pro Bowl appearances and had five trips to the NFL Championship Game. 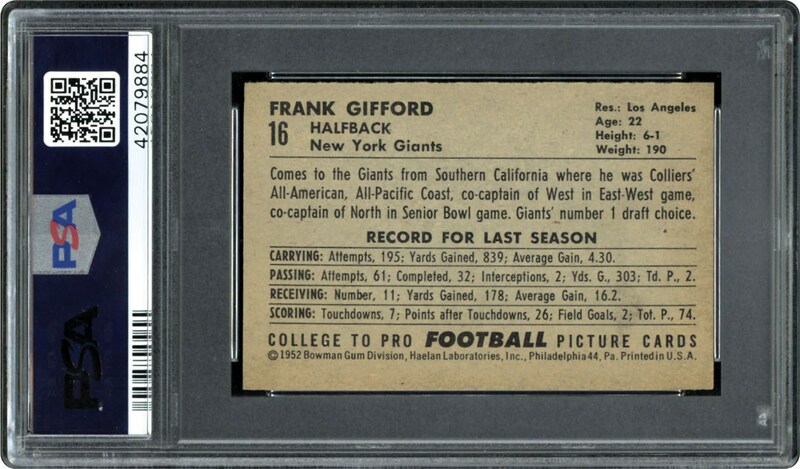 Gifford's best season may have been 1956, when he won the league's Most Valuable Player Award and led the Giants to the NFL title over the Chicago Bears. Offered here is a stunning 1952 Rookie card of the Hall of Famer. Color and brightness stand out. 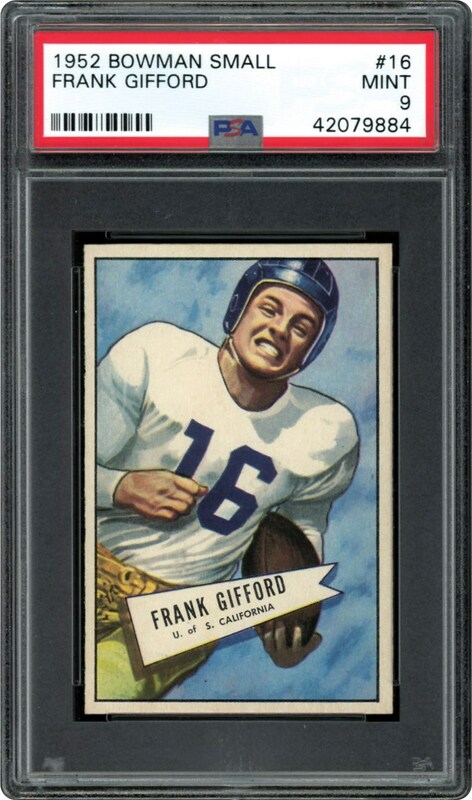 This Frank Gifford 1952 Bowman Small Version Rookie card is a must have for the smart collector as it is 1 of 4 in the MINT 9 issued by PSA with just a single card getting a higher grade. Gorgeous color, with sharp corners and a pack fresh quality rarely seen. Bordering a bump, this one's special. A touchdown all the way!! !